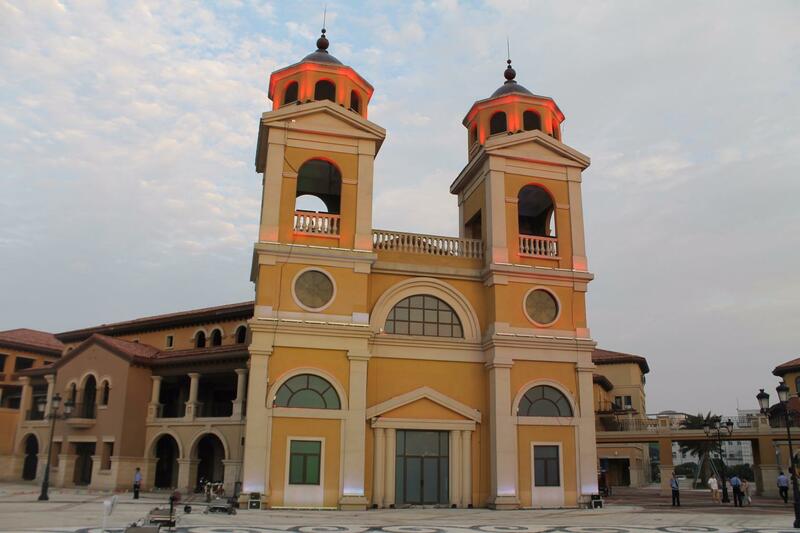 This project brought us at Ningbo, in China, for the inauguration of a big village dedicated to luxe market with a Spanish architecture: the «Ningbo Luxury Outlet Village». 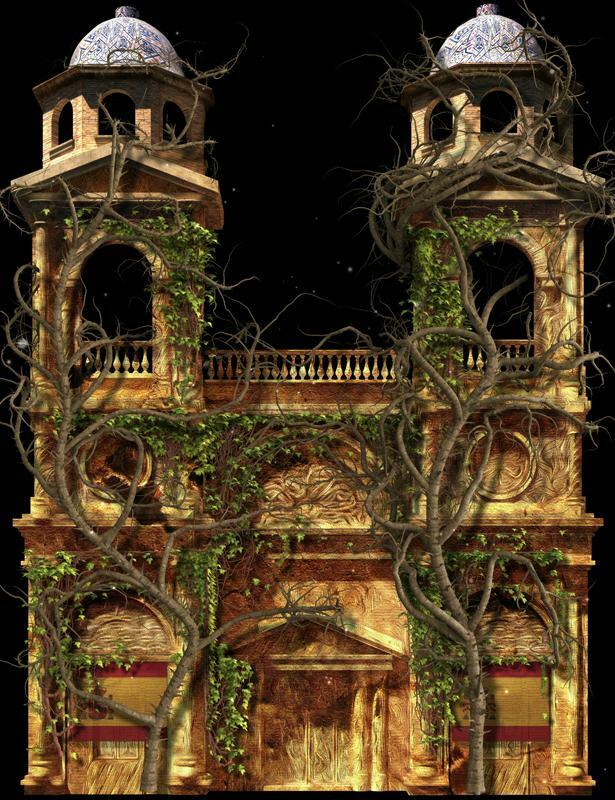 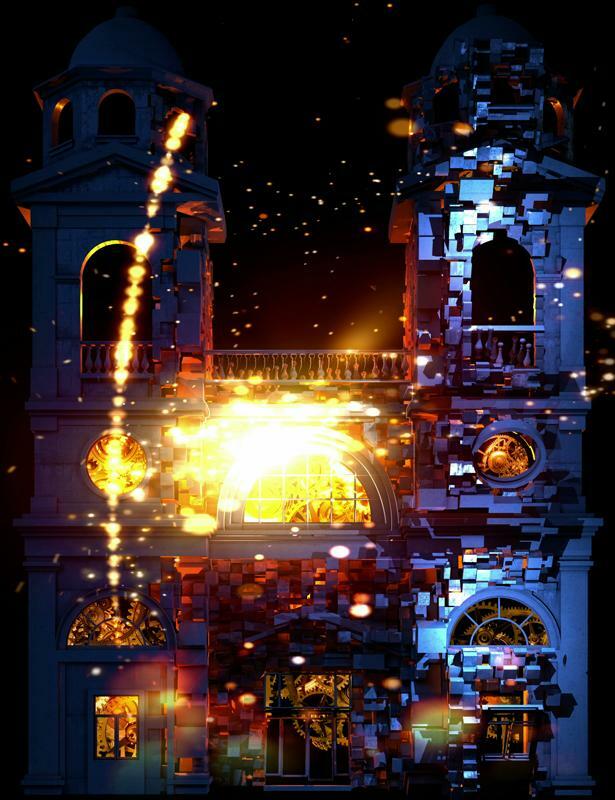 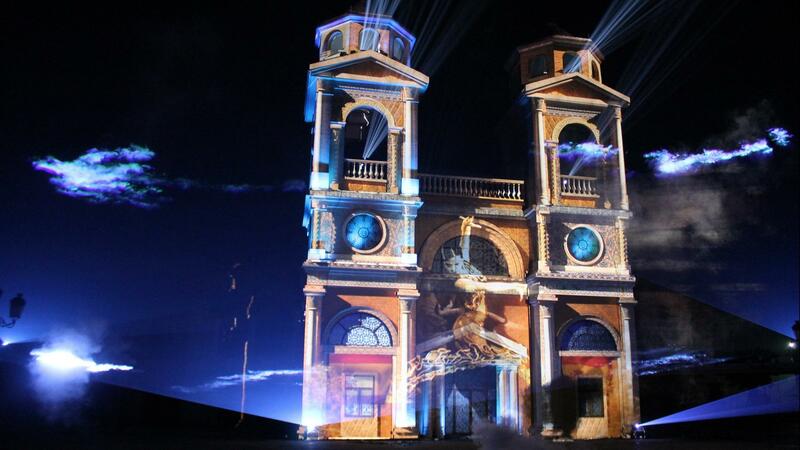 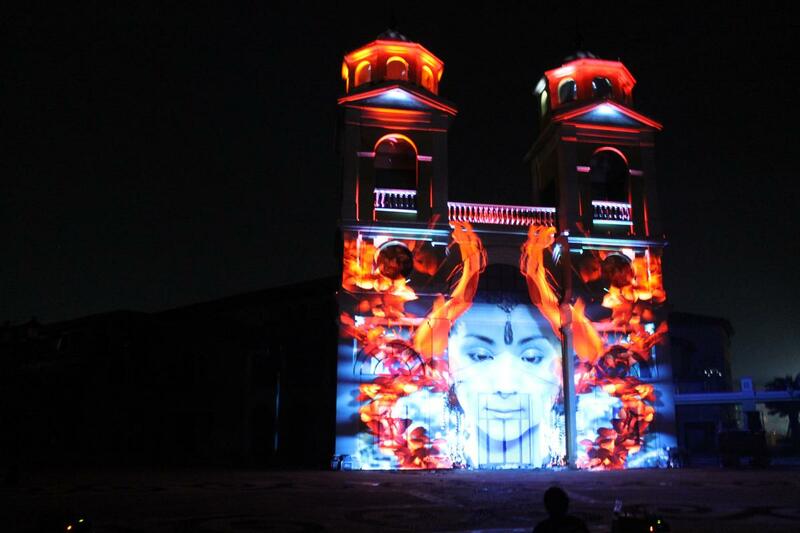 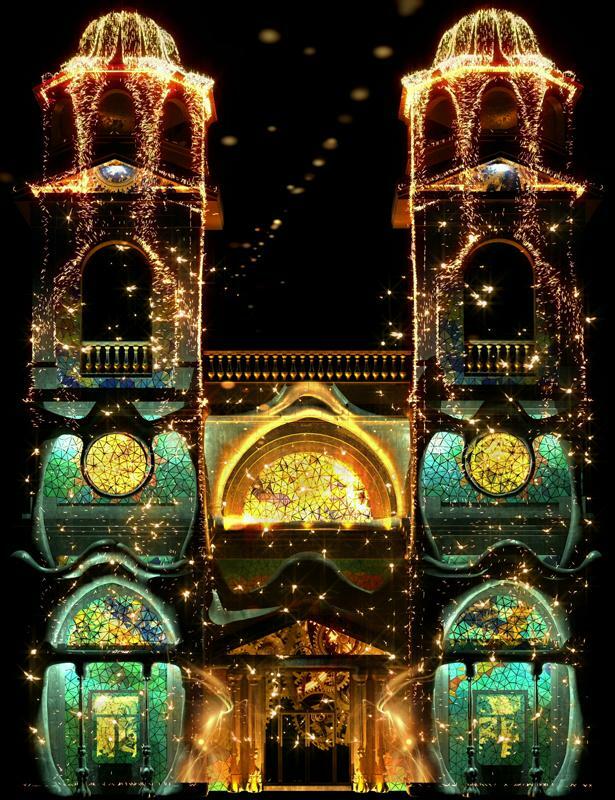 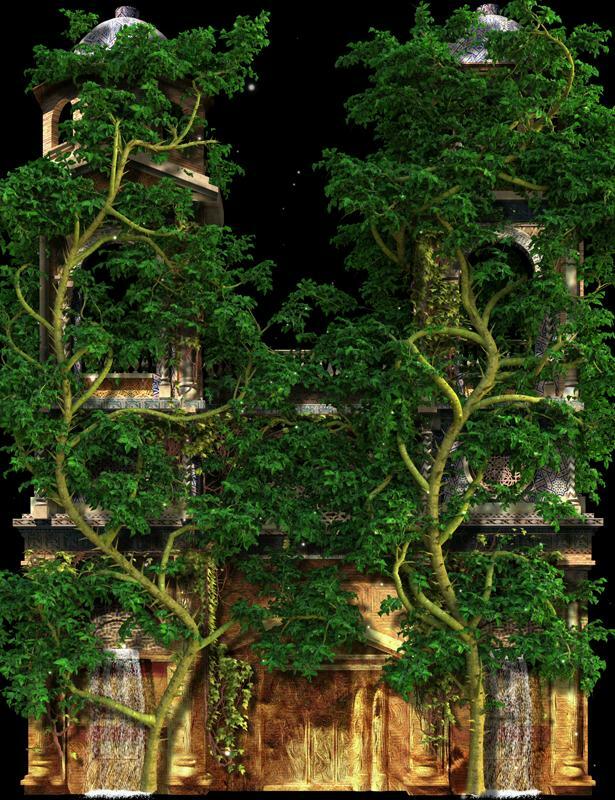 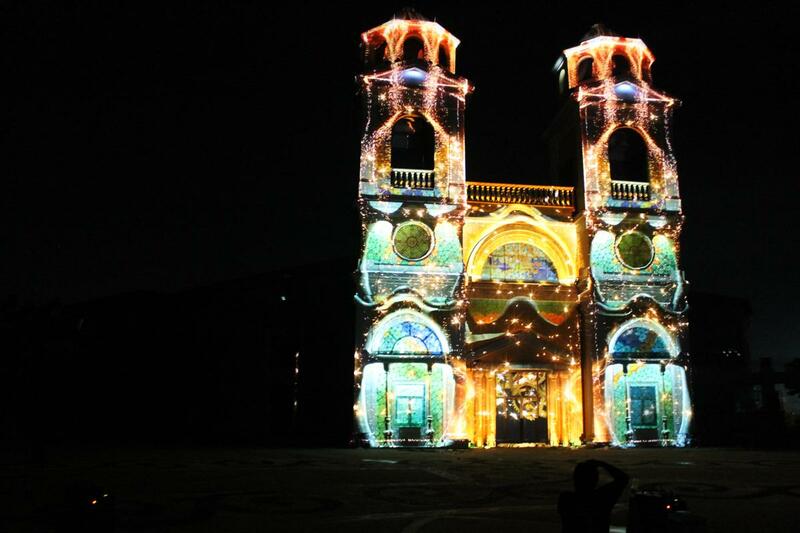 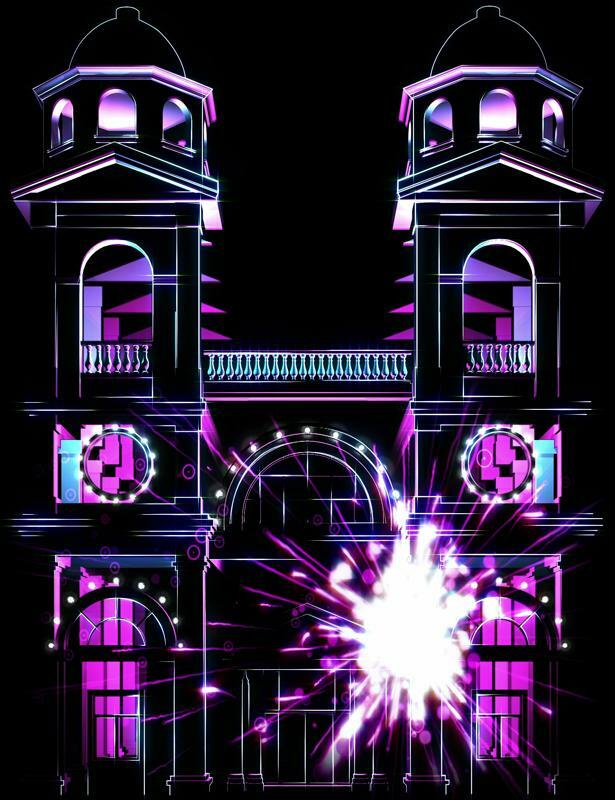 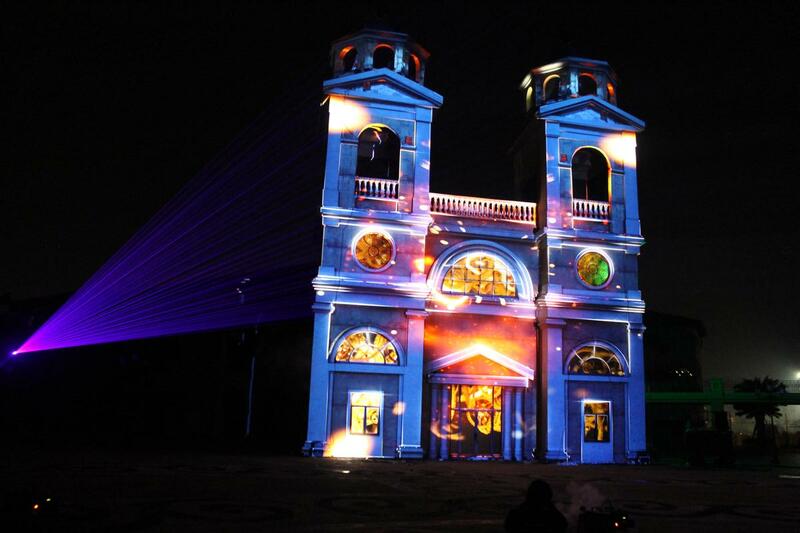 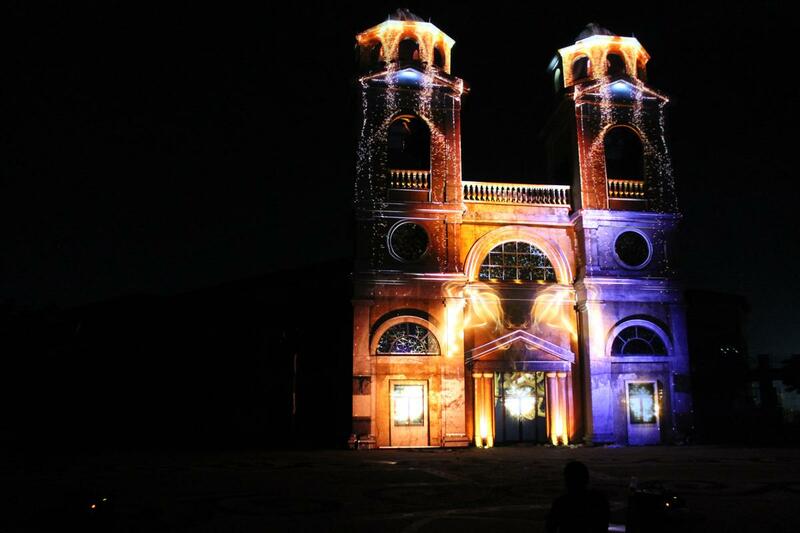 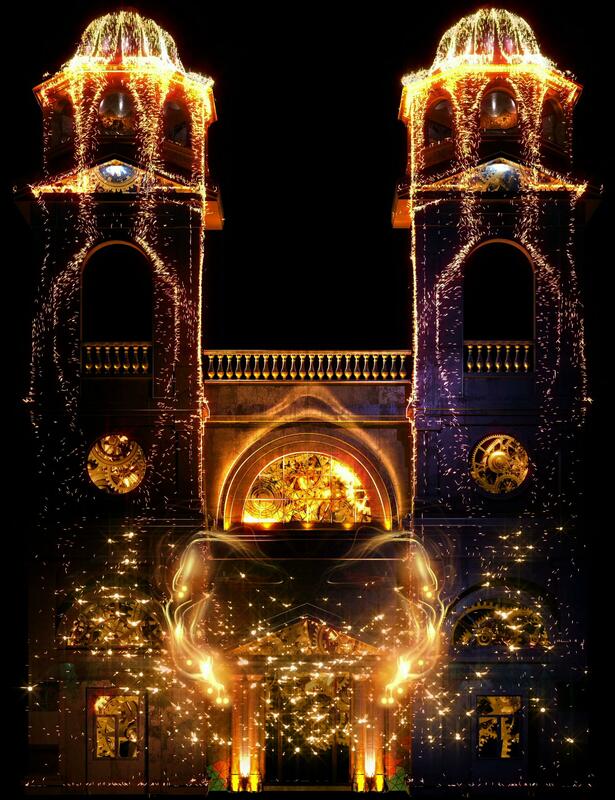 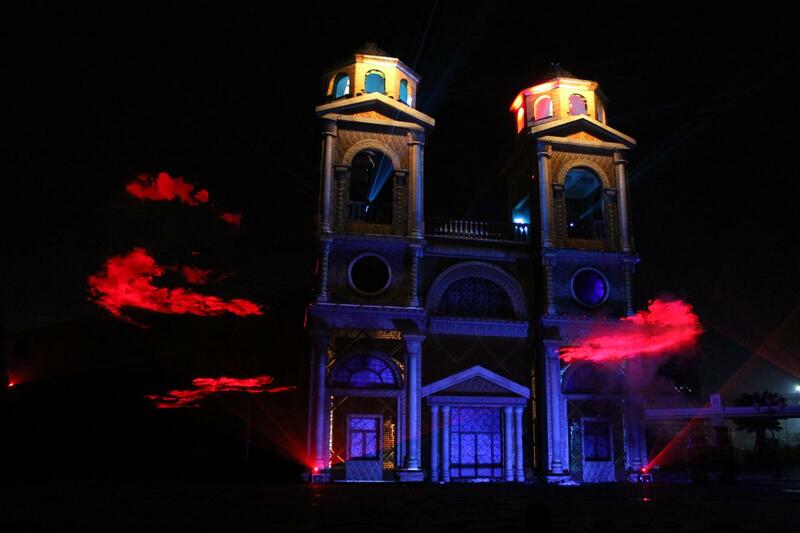 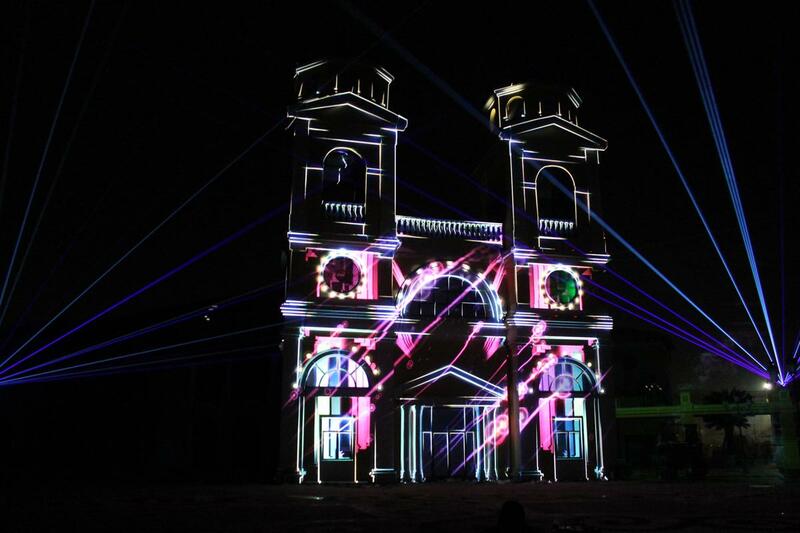 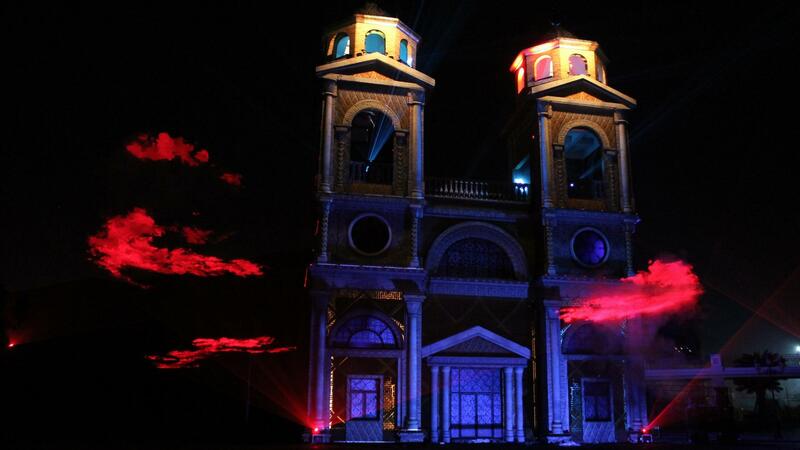 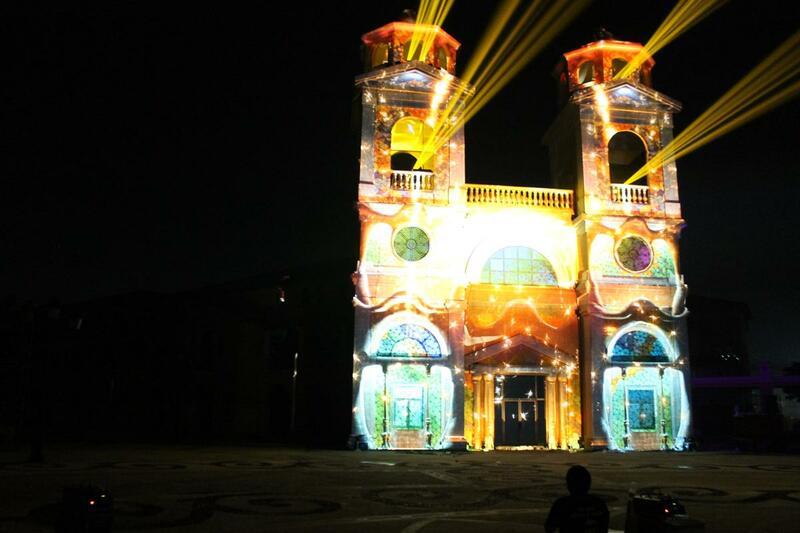 We performed a video mapping on the central church of the complex proposing our interpretation of the theme of the opening ceremony that is to say Spain. 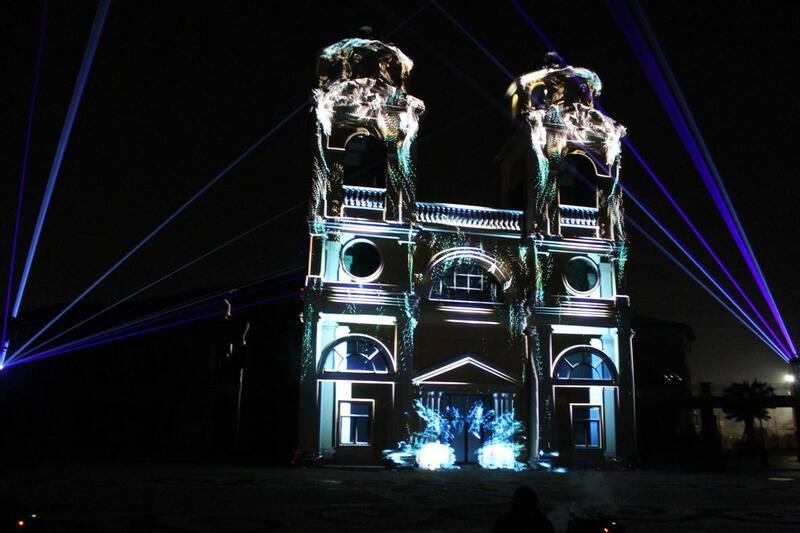 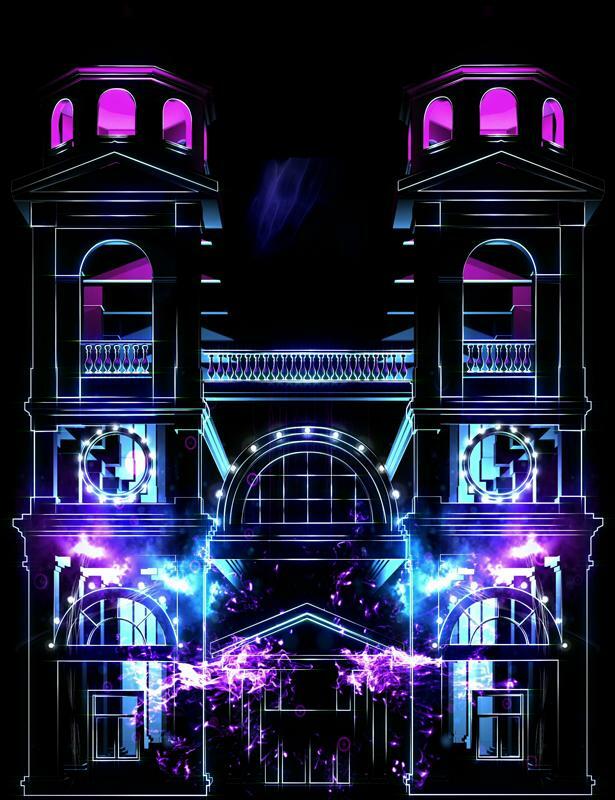 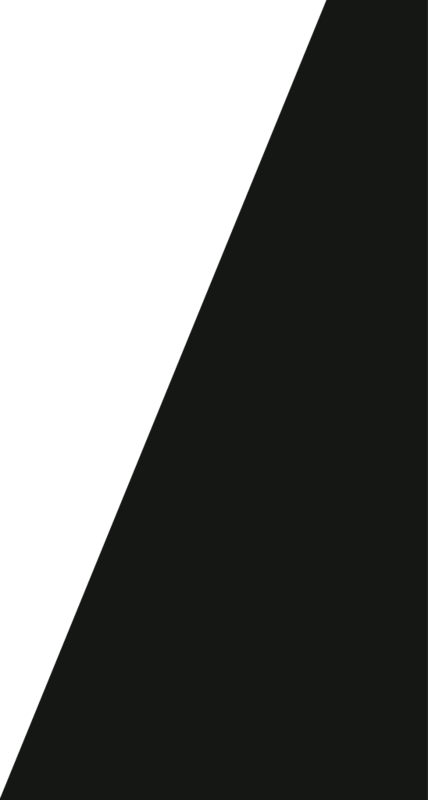 The spectacle also forecasted the creation of a decor via a luminous installation made of light and lasers which came to interact and complete our mapping performance. 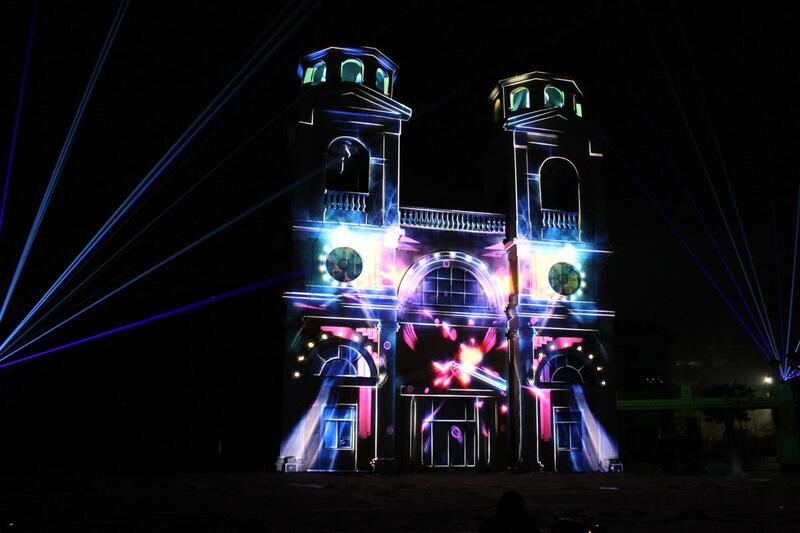 Mixing these 3 techniques (video mapping, light and lasers) we created there a full show. 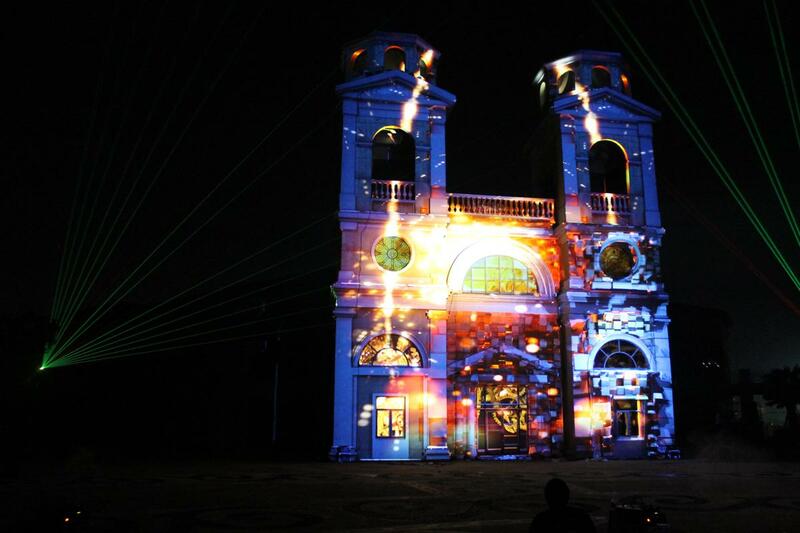 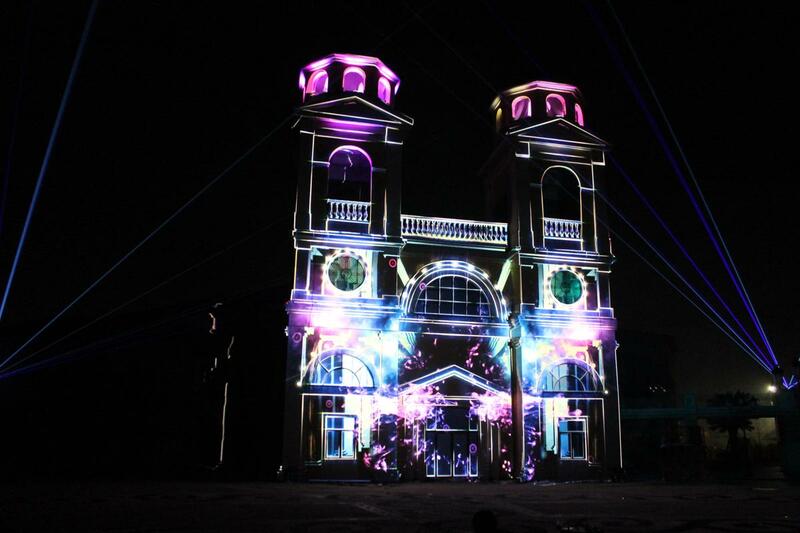 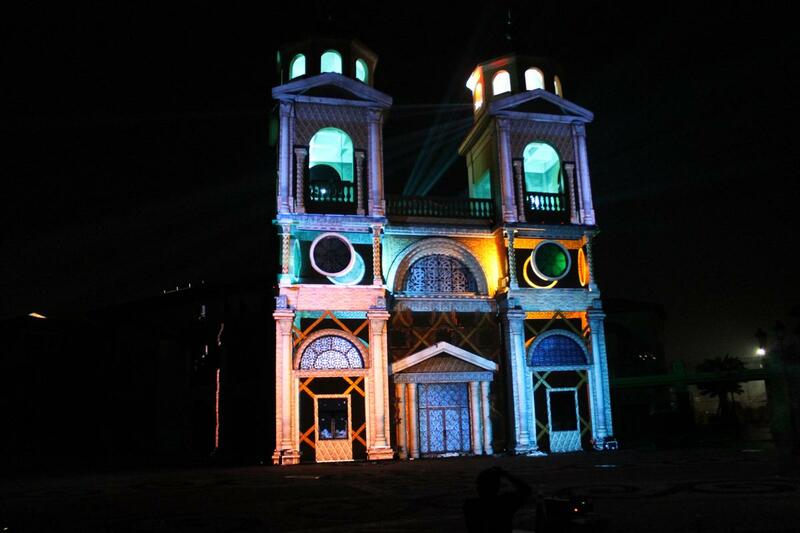 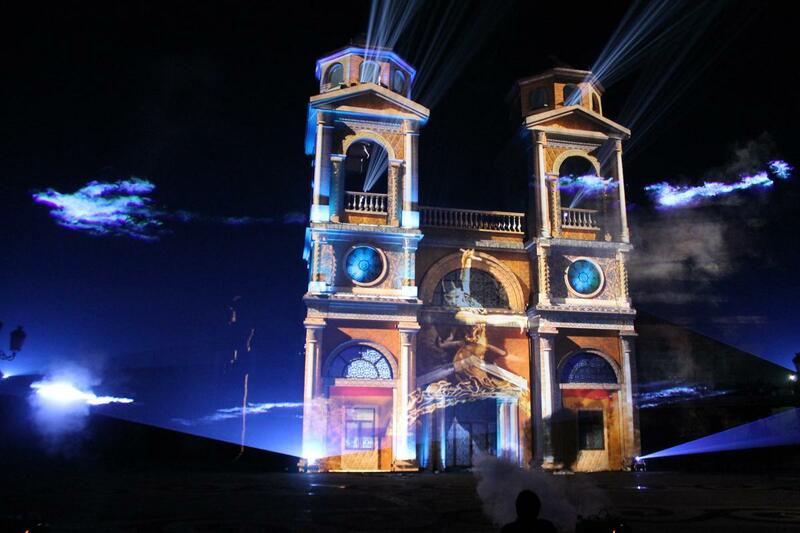 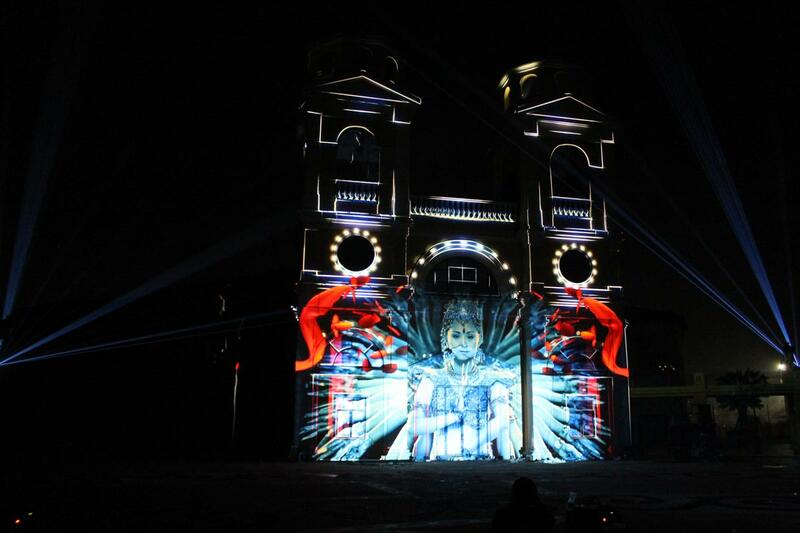 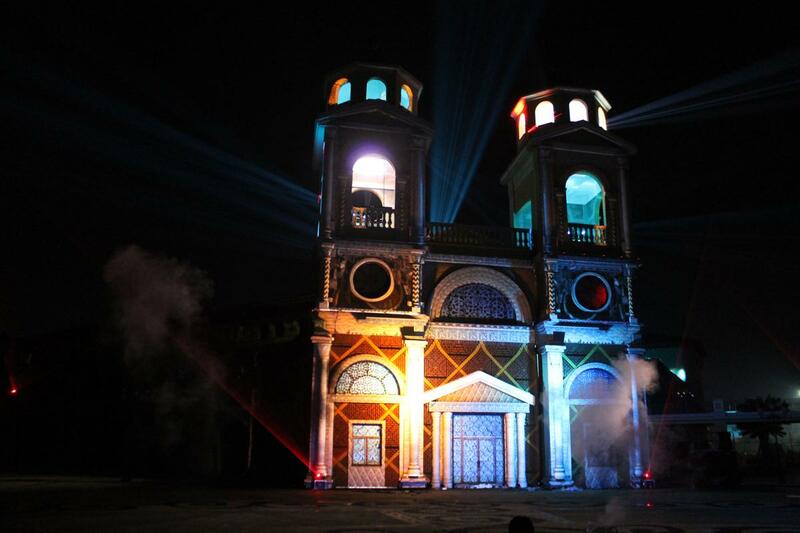 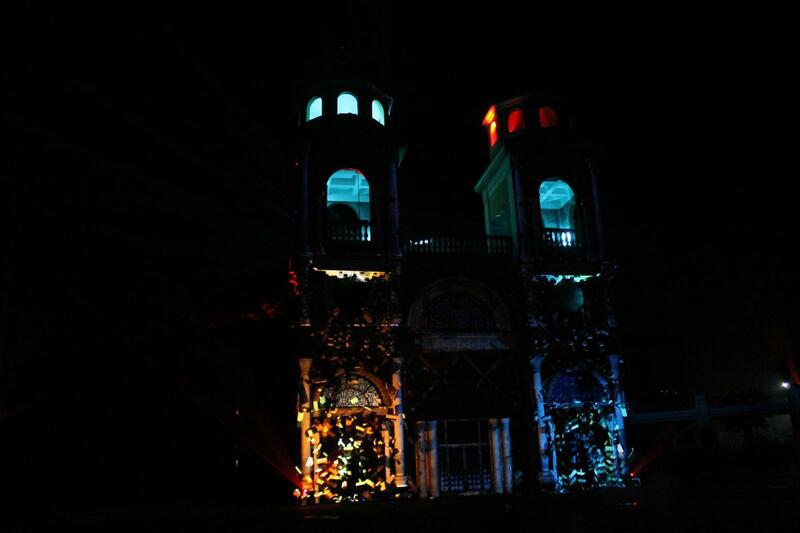 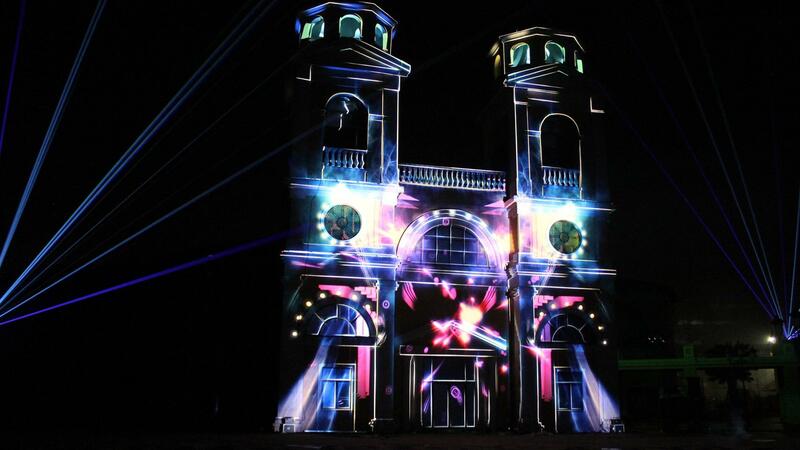 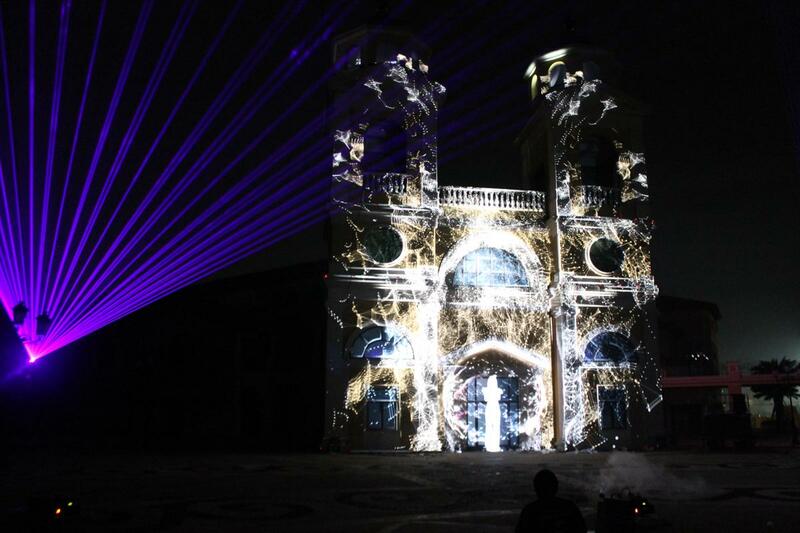 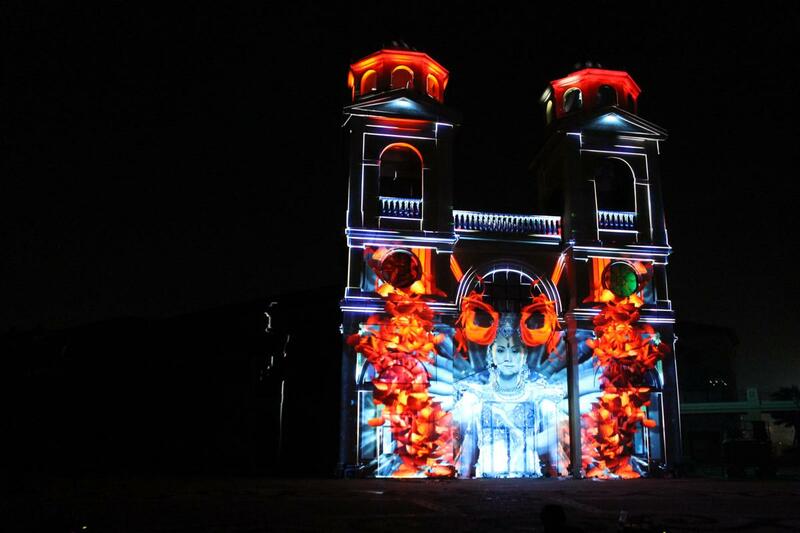 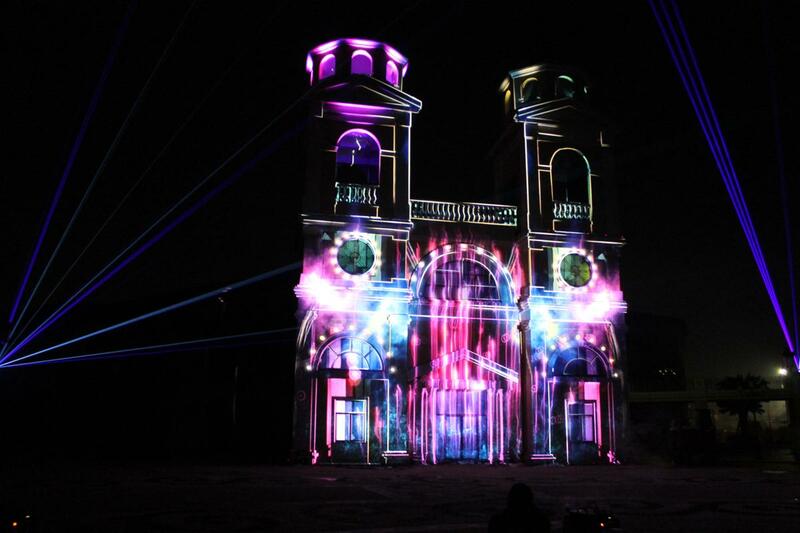 A set of 6 projectors 20 000 lumens were used for this spectacle.